For most of you guys, the last time you heard the word ‘Asgard’ in general conversation must have been about two months ago when you were watching Avengers: Infinity War. 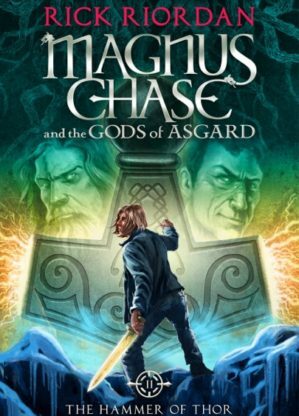 Today, however, I’m going to be writing about another fictional world dear to my heart: the Magnus Chase and the Gods of Asgard series by Rick Riordan. Now, anyone familiar with the Percy Jackson Series (the books, not the deplorable movies) knows the name Rick Riordan. His books are a genuine delight and his ability to turn the most dreary history lesson to some into a hysterically funny fantastical tale of adventure and shenanigans that pleases all is honestly unparalleled. Magnus Chase is one of his slightly lesser known works, although the tumblr tags would say otherwise. It revolves around the titular Magnus, a demigod son of Frey (aka Freyr), the Norse god of Summer. 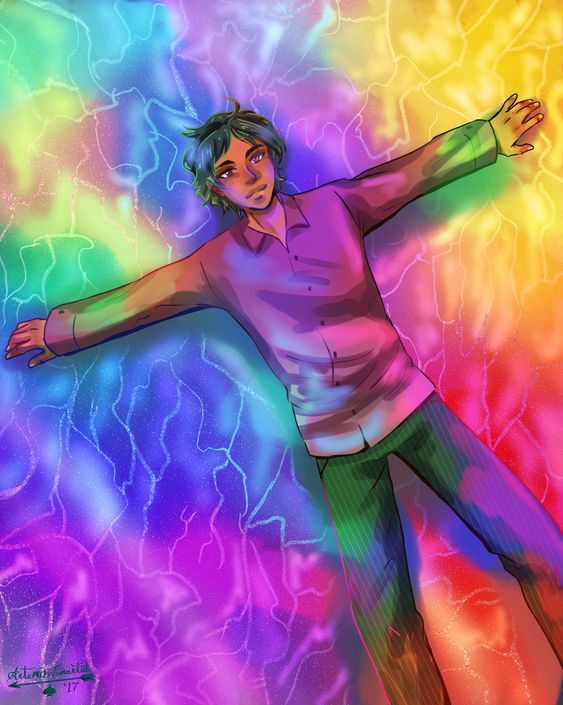 He’s sassy, blond, street-smart, initially homeless, pansexual, and very, very dead. He’s also an einherji, a warrior whose soul was carried to Valhalla by the demigod valkyrie Samirah al-Abbas, a daughter of Loki (no, not the Tom Hiddleston one) in book one: The Sword of Summer. But the character I’m focusing on today was introduced in book two: The Hammer of Thor. We meet Alex Fierro without knowing she’s Alex Fierro. In fact when we meet her, she’s a cheetah. A cheetah. Specifically, a cheetah who runs over Magnus’ feet, stabbing holes in them with her claws. She’s also being chased by a bunch of Magnus’ hallmates, screaming, Grab him! 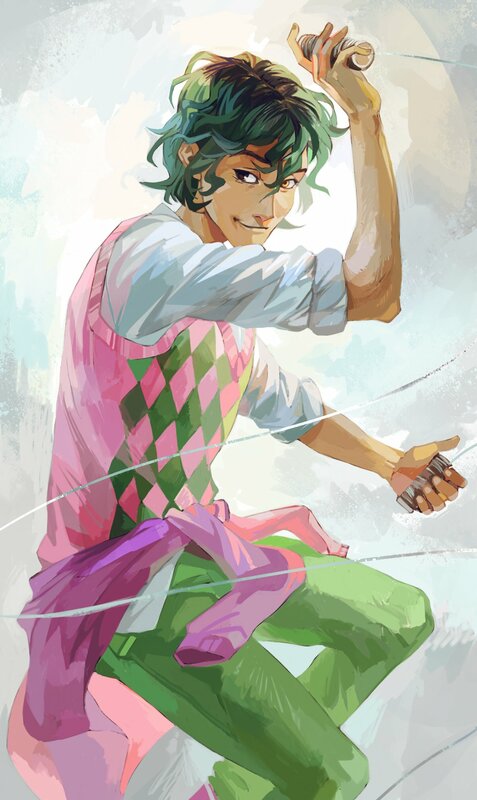 Alex Fierro is seen next at a combat training exercise where she kills a dragon and then promptly beheads the main character with a steel garotte (don’t worry, he comes back. Any member of the einherjar who dies in Valhalla is reborn). After what is probably one of the most badass introductions in a Riordan book, we get to see the great deed Alex died doing to land him in warrior heaven (He died male). Everyone’s impressed, Magnus has a crush, they spend the next two books dancing around each other, save the world, etc, etc. Let’s get back to Alex. Alex is Samirah’s half-sibling, a fellow child of Loki and a shapeshifter. Alex is also a technically non-binary character who doesn’t identify with being non-binary. She hates being referred to as ‘they’ or ‘them’. Why? Let’s get to my favourite part: Context. Alex Fierro’s father comes from money, power and influence. Loki is Alex’s mother, having transformed into, and I quote ‘a voluptuous redhead’ to seduce Alex’s married father. What a mess? Yeah, you may think so. Loki also took the liberty of informing the married couple exactly what transpired before handing baby Alex over to the family. Fast-forward about a decade or so, and when Alex refuses to stick to being male, the gender she was born with, whom does her father blame? Loki. Alex switches genders throughout the books and it is written brilliantly. She’s a girl when she feels like a girl, he’s a boy when he feels like a boy and is completely unapologetic about it. We skip the whole ‘self-hatred’ phase and ‘coming-to-terms-with-it’ phase completely, which is refreshing to see. Sometimes, a genderfluid individual just needs to see what it’s like to find the pot of gold at the end of the rainbow, so to speak. Or to find the rainbow, period. Alex Fierro is already comfortable in his/her skin. She’ll dress up in a wedding dress without compunctions if the situation calls for it and she’ll strangle a giant with her garotte while wearing said wedding dress. She’ll fight for herself when she’s referred to as an argr (the Norse word for unmanly), even if it’s by Thor, Lord God of Thunder. However, and I mean this in the most neutral way, the writing for Alex isn’t brilliant all the time. There have been times when her character has come across as what some would call ‘Tumblr Preachy.’ Riordan does seem to have been fallen victim to the so-called SJW pandering with some of the writing for Alex. Yes, Alex has been written with a care rarely given to transgender characters. 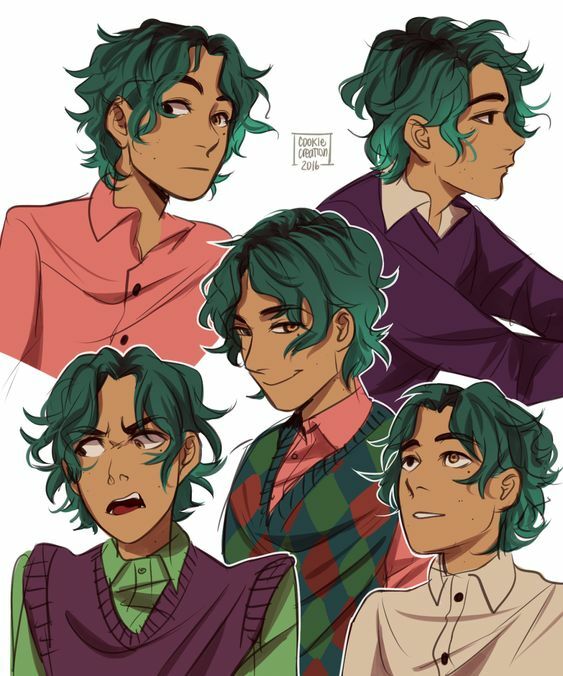 He has a meaningful love story and significant character development in which he learns to truly love himself, teaches others to take charge of their own choices and destinies, but occasionally, too much of this is reliant on his gender-fluidity and not his humanity, his personality traits, etc. That is not to say that she is a bad character. If you’ve read so far, you know that’s not what I think. I love Alex, as a character and as a symbol of representation, but even I have to admit that a significant part of her character development and interactions with others revolves around the fact that she’s gender fluid. It must be noted that several of Alex’s defining traits have been routinely shoved into the backseat in favour of Riordan sharing his own views on gender-fluidity and explaining the terms with respect to the same, something which, truth be told, can easily be looked up on Google (or your search engine of choice). On a more positive note, Alex’s character and personal history are well explored in the books. Like Magnus, he was a homeless kid. The chip on his shoulder and lack of trust in other people isn’t only because he’s transgender and was treated badly by his family, but also because he’s a kid who was forced to live on the streets. We see her change over time, into someone kinder and more willing to trust, because the circumstances of her life change. We perceive her as being a person in her own right and that, I think, makes all the difference. Plus, there will probably be more books in which her character will be explored further, and I look forward to them. The Queer Questionnaire #12: What Does Non-Binary Mean?